Properties in Algies Bay average 4.6 out of 5 stars. YOUR ALGIES BAY AFFORDABLE HOLIDAY HOME. ComfortablEe stays from $300 PN. Property 4: YOUR ALGIES BAY AFFORDABLE HOLIDAY HOME. ComfortablEe stays from $300 PN. Algies Bay Quite and Private. Property 5: Algies Bay Quite and Private. YOUR ALGIES BAY AFFORDABLE HOME STAY 4 Star accommodation. Property 6: YOUR ALGIES BAY AFFORDABLE HOME STAY 4 Star accommodation. 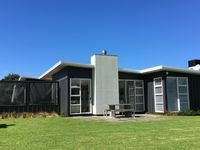 Property 17: Ruru Lodge, Kotare House. Spacious, modern, light, convenient, fully fitted. Property 23: Joie de Vivre. Stunning and unique. Property 25: Matakana peaceful rustic retreat. Kawau Kabin, 3 bedroomed house, South Cove, Kawau. 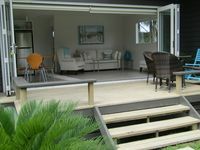 Property 44: Kawau Kabin, 3 bedroomed house, South Cove, Kawau.